Now that you understand margins are vitally important to your affiliate marketing success, and that the best way to gain margin most other affiliates aren’t getting is by collecting data; we will cover how to collect the data properly. The specific methods that you use to collect the data can vary depending on the niche and what data you are able to monetize. I like to use what I call a Lead Interception or Data Interception page. 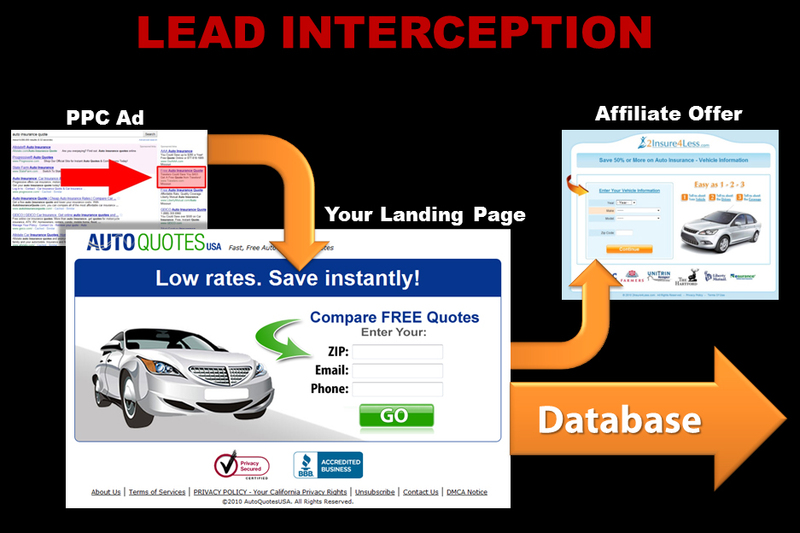 A Lead Interception page is simply a page that is either a landing page modified to collect data, or a page that is inserted in between your landing page and the offer page that collects data. In the example below I’m using a PPC Google Adwords ad as an example. You’ll see that in between the ad and the actual offer I have inserted my own landing page. This is the Lead Interception page. You will see I’m not collecting everything here just: Zip, Email, and Phone. Just so you know, phone number is typically the most valuable field to collect, but can also cause the most abandons so it has to be tested. This brings me to one of the questions I get asked most about intercepting data and that is, “How do I know what data to collect or what fields to ask for?”. The answer to that is very simple and it’s…you have to test. What you want to do to determine what data you can collect is to split test a number of different forms with different field combinations. This will basically allow you to put a price tag onto each field to determine how much it costs you to collect that data. Each extra form field or question added to your page will typically cause more abandons, thereby raising your cost per optin. So, through split testing different combinations you’ll be able to figure out a cost per optin or cost per acquisition for each of those fields. For example, you may find that by leaving the phone number out you can get zip and email data for $.65 per optin. However, when you add the phone number field that jumps up to $1.25 per optin which is a $.60/optin difference. The question you must ask at that point then is, “How much extra am I able to make because I collected the phone number?”. In this example, if you are making at least an extra $.60/optin because of the phone number field then you keep the phone number field. If you’re only making an extra $.15/optin, then of course it’s simply not worth it. What data fields you collect is of course a function of how you monetize your data, how much that data costs you to acquire through your forms, and what niche you are in. Another popular question I get is, “…but won’t I lose money because fewer people will make it to the actual offer and complete it?”. If you are monetizing your data properly, then you should make MORE profit from the data you collect and the smaller percentage of people that will complete the offer at that point, than you will if all you did was collect profits from a higher percentage of people completing the offer when you drop the data collection. Done properly, data collection will make you MORE than the offer will. I suggest that affiliates stop relying solely on the income they get from offer conversions (which is very unstable income), to relying more on the higher income they can generate from collecting data and monetizing it (which is much more long-term and stable). This is what I do with my company and it’s been MUCH more profitable for us, especially in the long term. Remember that networks and offers come and go, payouts raise and lower; so it’s not a stable business model to rely solely on the income generated from the offers. 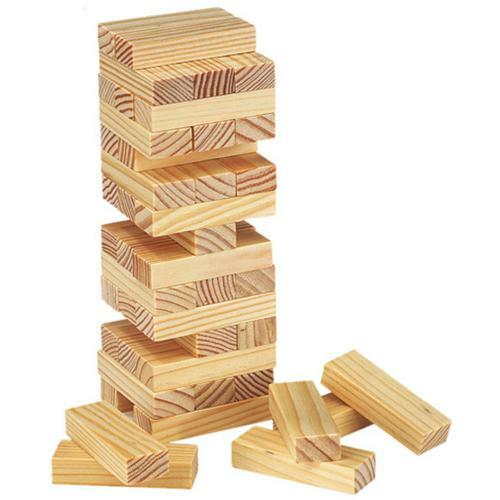 You might as well be building your business on Jenga pillars if you’re relying solely on network offers. Collecting data on the other hand you have full control of and potential to make a significant amount more than you make with offer payouts alone. Before we move on to the next section about monetizing the data, I want to talk about a method to help increase your offer completions. That is, the number of people that make it through your data interception page and complete the actual offer page. How much revenue you generate is directly a result of the income earned from monetizing the data but also the income earned from getting offer conversions. So we need to make sure that we maximize offer conversions as well because they are still important to our bottom line. One of the best ways to increase offer conversion is to utilize “pre-pop” or pre-population. If you’re not familiar with this, it simply means that when a visitor enters their information on your Data Interception page, you can pass that data along to the offer so that when the visitor lands on the actual CPA offer page, the data is already pre-entered into the offer page for them. In other words, the user won’t have to fill out that information again…it’s already done for them. 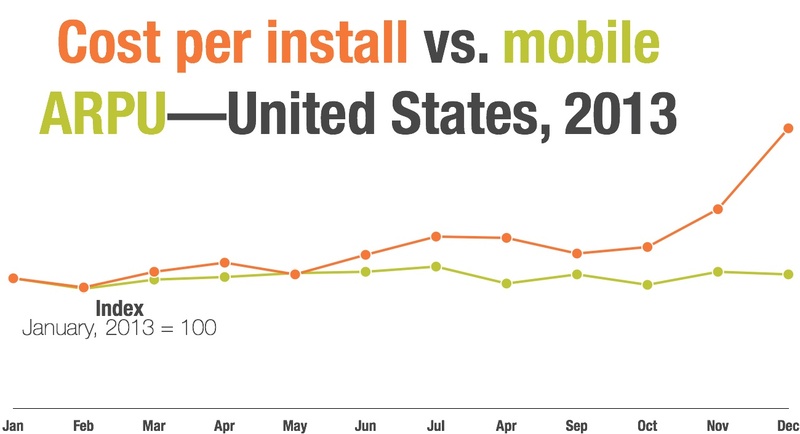 The less the user has to do the more conversions you’re going to get. So any offer that allows pre-pop, you want to take full advantage of that. I don’t want to get sidetracked into a full lesson on pre-population here, so the best way to learn about that is to simply ask your affiliate manager if the offers you are running allow pre-population. If so, they should be able to get you pre-pop instructions for that offer. You now know how to setup your Lead and Data Interception pages, how to test what fields to collect, and that you should implement pre-pop when necessary. You’re ready to move onto ways to monetize that data and turn it into cash. Collecting data that you can’t profit from is a waste. In the next part of this series we will be talking about some methods to help you monetize that data you’re collecting. Time to cash in. 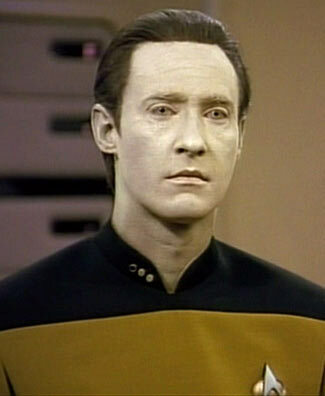 Hi – Great article and makes a whole lot of sense in getting that all important data . Data Interception pages never heard of it but neat method! Perhaps you might consider extending this very useful Series further by including a discussion on Data Intercept via a Double Squeeze Page. I’d be very interested to know if services such as Aweber offer the functionality to capture physical address details as well as the usual name / email. Capturing more data is an attractive proposition, but ease of capture, storage and retrieval are important considerations. All this is new ground as far as I’m concerned, and I’d like to discover what the best database options are.